Oracle Text: G: Exile target card from a graveyard. 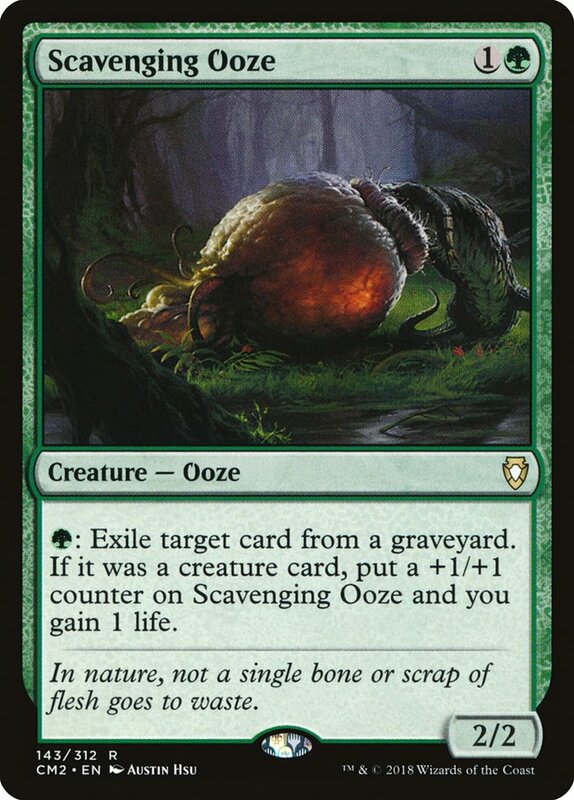 If it was a creature card, put a +1/+1 counter on Scavenging Ooze and you gain 1 life. Flavor Text: In nature, not a single bone or scrap of flesh goes to waste.